Though it’s still on course to enter production this June, as was previously reported, it seems that fans may need to wait a bit longer before they lay eyes on the next chapter in the franchise. And that’s because Deadline is telling us tonight that the pic’s been hit with a decent sized delay. If you’ll recall, Paramount originally scheduled the blockbuster to land in theaters on July 26th, 2019, and while it’ll still remain in the same calendar year, it’s now been moved to November 22nd. No reason was given for the delay, but from what we understand, it’s got nothing to do with Arnold Schwarzenegger’s recent heart surgery. 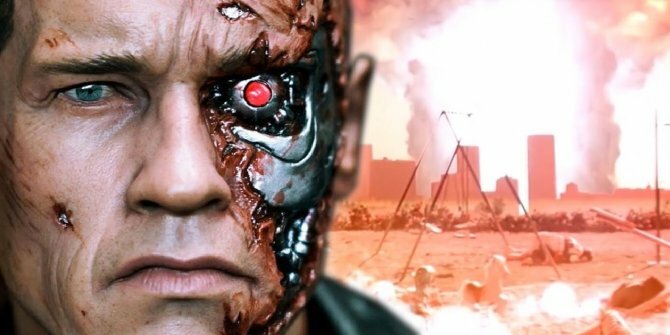 Said to ignore all films post-Terminator 2: Judgment Day – much like the upcoming Halloween sequel is doing – The Terminator reboot will spark into life on November 22nd, 2019, and we can hardly wait to see what Paramount’s got in store for us.